This 5 Acre lot for sale in Lucurne Valley is a fantastic investment opportunity! Located very near the Apple Valley border, in an area that has nice homes recently built nearby, this piece wont last long at this price. 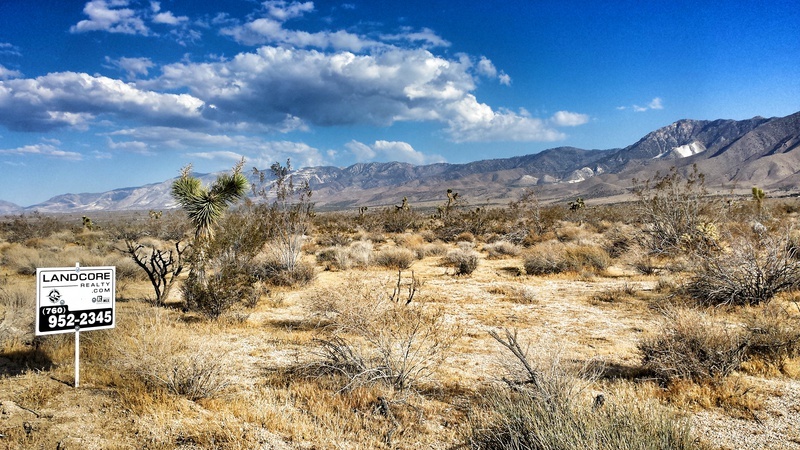 Lucerne Valley is located in the largest county in the country, San Bernardino County, CA. 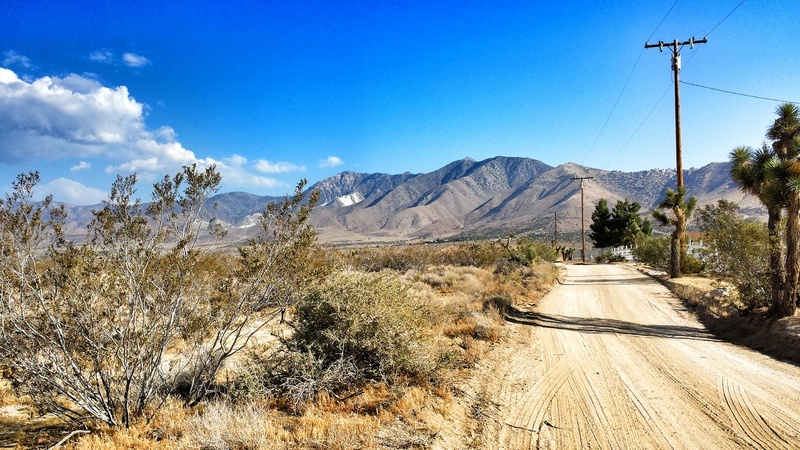 Known for wide open spaces, large lots, and small farms, Lucerne Valley is just east of Apple Valley, CA with terrain ranging from the San Bernardino Mtn foothills, to the dry lake bed flats the valley floor. For current pricing and more information on this listing. This property is the northern lot of two nearly identical lots being offered by the same owner. Both properties have power just across Dodge road, making devepment one step closer. With both new and old homes in the neighborhood, this shows a good chance of success for getting a well installed. The newer homes that have been built just to the east are located on paved High Road. With only 1000 feet of dirt road, this is a fantastic location to build a dream home on an easily developed lot. Truly spectacular views of the surrounding mountains and valley floor at a price that cant be beat. 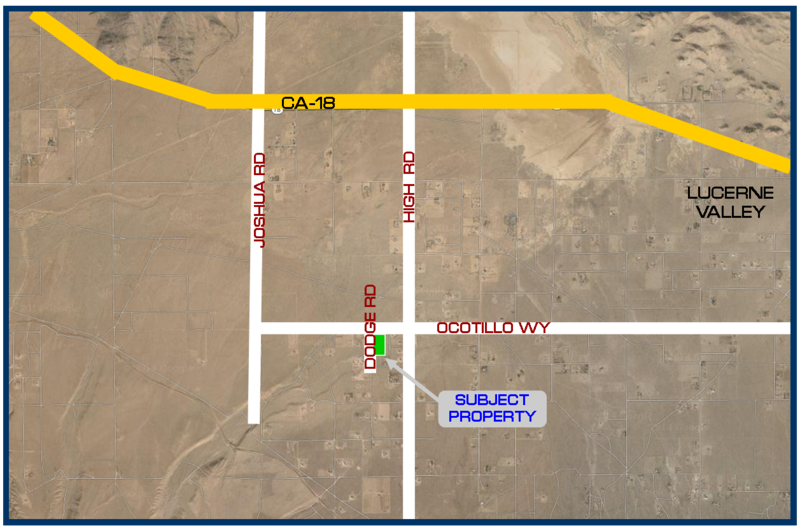 Directions to the Property from Bear Valley Road and CA-18 intersection: turn right onto CA-18 and continue for approx 5.6 miles east, turn right onto High Rd and continue 1.5 miles south, turn right onto Ocotillo Rd. (good dirt road), and continue 1,000 ft. Property is on your left with 10 foot white poles with pink tape on the top marking the approximate corners. Lucerne Valley is located about 20 miles from the mountain town of Big Bear, and also less than 20 minutes to major retail centers in Apple Valley with WinCo, Stater Bros., Best Buy, Target, Lowes, Home Depot, Cimemark, Kmart, to name a few. In both directions there are many, many restaurant options are also available, from major recognized standards such as Red Robin and Buffalo Wild Wings, to local favorites of all types. Build your dream home out of town with room to breathe, on acreage to call your own, but have the amenities of town living within easy reach. if you are thinking about selling your property.